The Intern Tries… Coffee on Market St. Welcome to a brand new series on Urban Corning called “The Intern Tries…” My name is Felicia, your friendly neighborhood Urban Corning intern. I?ll be your host in a tour around Corning?s best and worst places to eat, drink, and be merry. Our first topic? Coffee. I am going to start this off with a two part disclaimer. Part 1: I am not the end-all-be-all authority on coffee (and you’ll find out why in part 2 of the disclaimer). In conducting my research for this post, almost every coffee tasting website said preference is key in tasting coffee. If you like it, who cares what anyone else thinks? And part 2: I hate coffee. Not dislike, not indifferent to it, but really hate. I am 22 years old and as a college student, it should be all I live off of. But I never acquired the taste for it. 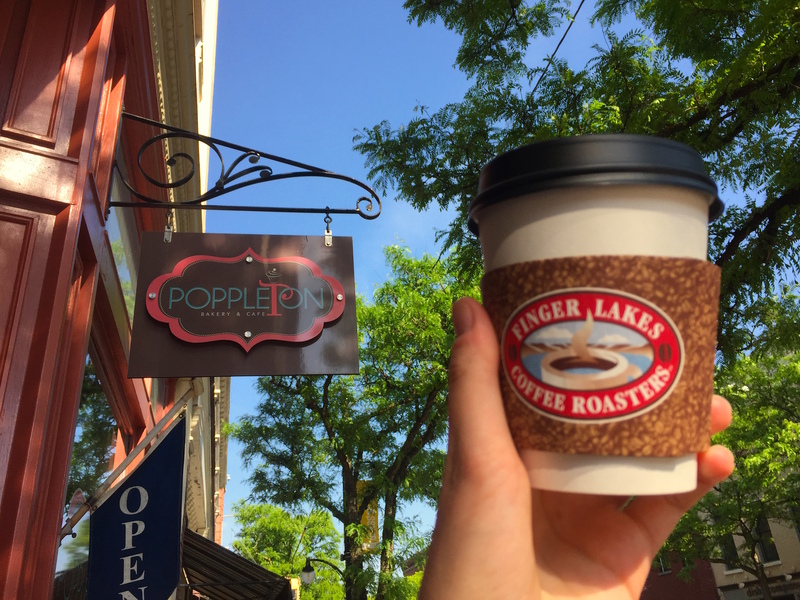 You may be about ready to click off, thinking “How could a coffee-hater determine what is the best tasting coffee?” Well, in a way, aren’t I the best candidate to determine the best coffee? I have no bias; I hate all coffee. So, I will be able to concentrate on the flavors without getting caught up in its “supposed” deliciousness. 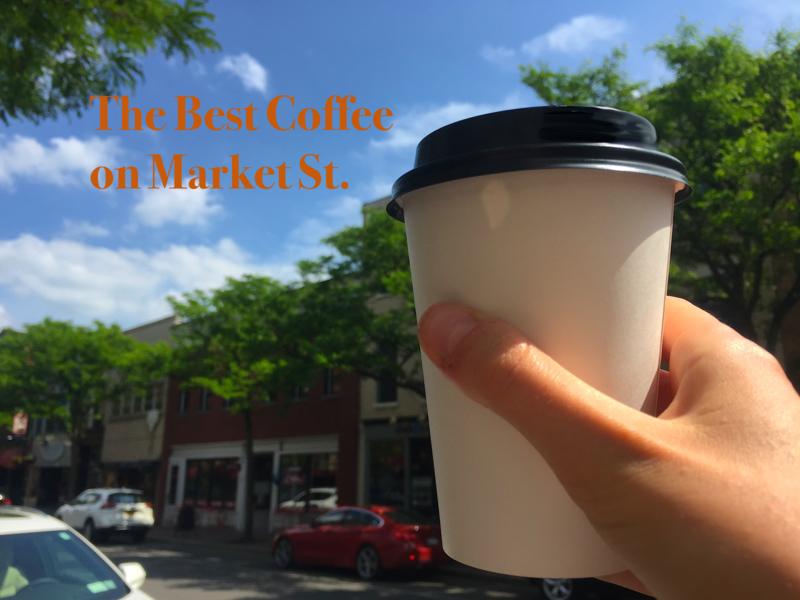 Whether you agree or not, here is my breakdown of the coffee on Market Street. I looked for four things: sweetness, acidity, body, and cleanliness (aftertaste). All the coffee I drank was the standard order or most popular choice, according to the staff, and I added no milk or sugar. The good: The beans are house roasted (so cool!). The coffee is pretty acidic in flavor, the most acidic of the four places I tried (which I hear is something to strive for in coffee???). The texture is very full bodied and almost has a creaminess to it. And the aftertaste is mild and not too overpowering. The not-so-good: I found the flavor to be too acidic for my taste. I also couldn’t pick up any sweet notes, although as you’ll read below, I couldn’t pick up any sweetness for any of the coffee I tried. The good: It was less acidic. And the coffee also had a full body to it. The not-so-good: It was less acidic because it tasted watery. It had a full body to it but somehow managed to lack in flavor. 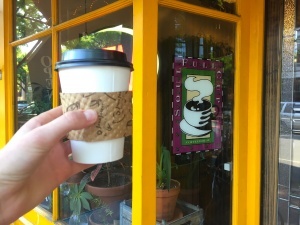 The coffee is also brought in from an outside roaster, Euro Cafe (not necessarily a bad thing, but something to mention). The good: The coffee had a strong acidity to it, similar to Soul Full Cup. The aftertaste was faint and after a minute or so, it diminished. The not-so-good: They also do not roast in house but import from Finger Lake Coffee Roasters. It doesn’t have as full of a body as the above mentioned coffees. The good: The coffee was the most full bodied of the four and was roasted in house. It also had the lowest acidity and a minimal aftertaste. The not-so-good:It is worth mentioning that the barista did make a fresh batch for me, which could have most definitely affected the taste due to freshness. I’m still not (and probably will never be) a coffee drinker. Did I?like any of these coffees? No, absolutely not. Did I hate some of them less than others? Yes. 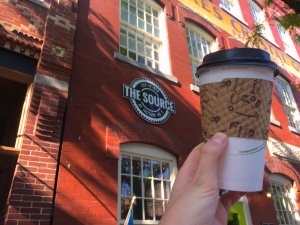 I would have to say if I was forced to drink coffee everyday for the rest of my life, my winner would be…..(drumroll)…. 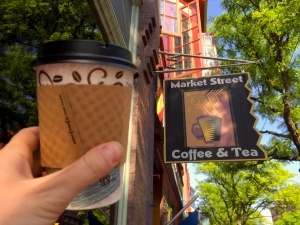 Market Street Coffee and Tea. Personally, I didn’t like the acidic taste of the other blends because it was just too bitter, and Market Street Coffee and Tea’s flavor had real oomph to it. Now that I have a caffeine overload headache and am suffering from intense dehydration, go out and find your favorite blend on Market St.
I’ll be sticking to my trusty chai tea latte. Excellent post Felicia! I actually think it’s so brilliant that you hate coffee and were willing to do this! Your unbiased insight is interesting and gave me a good chuckle too.